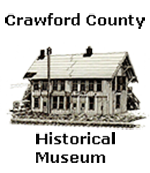 AuSable Artisan Village is a non profit corporation in the State of Michigan dedicated to the needs of the artists and the patron in both visual and performing arts. Official site for tourism information for the Grayling, Michigan area. Making Grayling Your Place to Stay. Whether it’s a family vacation, a weekend getaway, or just the desire for the total outdoor experience, when you arrive in Grayling, you have access to all that Northern Michigan has to offer. The Grayling Regional Chamber of Commerce is the business and community advocate of Crawford County, focusing on the protection and advancement of economic and business development, community image, natural resources and quality of life in the region. 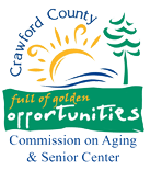 Crawford County Commission on Aging (COA) is a local governmental agency established in 1973 charged with serving seniors age 60 and older throughout Crawford County and Grayling, Michigan. The agency is governed by a 7 member Board appointed by the Crawford County Commissioners. The COA brings together federal, state and local grant funds as well as local millage dollars to make up their budget. These monies are used to provide a variety of services to seniors throughout the county. Although seniors are not charged a set fee for services, the COA greatly depends on donations to help maintain their programs. Preserving the heritage and artifacts of Crawford County. I am, in no particular order: a writer, musician, gardener, workshop presenter, retreat coordinator, and cook. Sometimes I combine these in ways that make sense. Other times I simply combine them. Come visit my website. I hope you'll stay there with me for a bit, look around, click on some tabs and read some things I've written. Read about my writing workshops. I still enjoy being challenged by attending writing retreats and workshops, and have never forgotten the power of a bit of encouragement. Everyone has a story to tell. Every person is far more interesting than they know. I love to help people, young or old, discover their voices and tell their stories in vivid colors using only white paper and black ink.